DETROIT (Reuters) -- U.S. auto sales will rise 16 percent this month compared with a year ago, and the annual sales pace will rise slightly from May to around 13.9 million, a key forecasting group said Thursday. 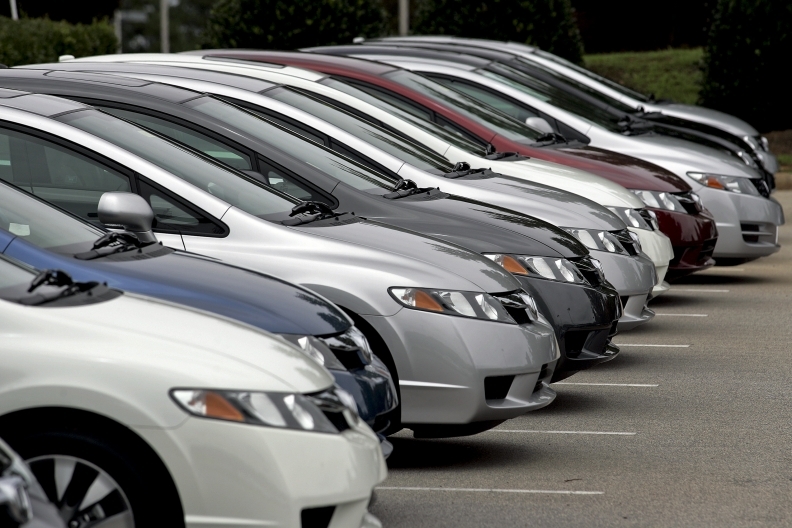 Vehicle sales in June will reach nearly 1.3 million, according to J.D. Power and LMC Automotive. Of the total sales, 21 percent will be to fleet customers, such as rental car companies. At 13.9 million, June's annualized sales rate would top the 13.7 million sales rate in May. Still, it would be below the 14 million threshold that the U.S. auto industry surpassed during the first four months of the year. total light vehicle sales this year will reach 14.5 million. "Concerns regarding the macroeconomic environment and another potential summer slowdown have increased, but we expect the sales pace to remain strong and stable throughout the second half of the year," said Jeff Schuster, senior vice president of forecasting at LMC Automotive. Since April, gas prices have fallen, which has cut demand for hybrid and electric vehicles. LMC predicts hybrid and electric vehicles will account for 3.2 percent of auto sales this year. "Many major manufacturers are posting year-over-year retail sales gains this month, while maintaining strong new-vehicle prices," LMC said. "Average incentive levels, while up 9 percent versus a year ago, are down 5 percent from May. All indicators point toward an industry that continues to get healthy." Major automakers, including General Motors, Ford Motor Co. and Toyota Motor Corp, will report June U.S. auto sales on July 3.